All HIDDEN VILLAGE homes currently listed for sale in South Jordan as of 04/24/2019 are shown below. You can change the search criteria at any time by pressing the 'Change Search' button below. 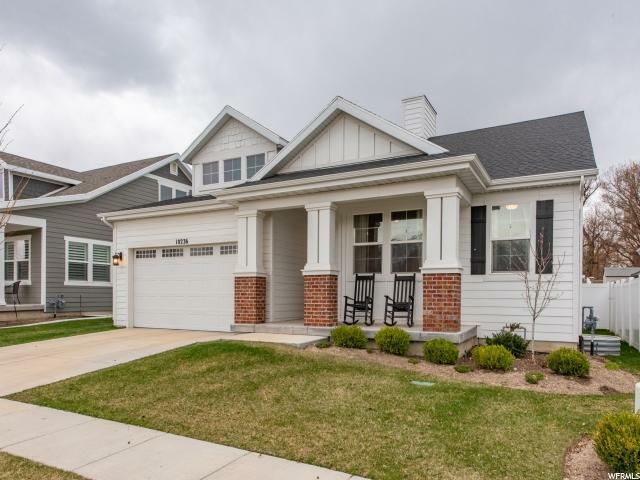 "Experience the warmth of your own classic white, rambler in the heart of South Jordan. Housed inside Hidden Village - this neighborhood is secluded down off the hill from 1300 West and built around the historic Holt Farmstead Park. This home is better than new with an open floor plan, neutral colors, and custom built-ins. The main floor master living suite boasts a large over-sized tub, two sinks, and a spacious walk-in closet. The generous unfinished basement has room for an additional bathroom, bedroom, and great room. The neighborhood is ideally situated close to great schools, restaurants, shopping, medical facilities, and other amenities. With exquisite views out the front and rear, easy I-15 access, and an HOA that not only maintains the yard but hosts 4-5 neighborhood celebrations each year. Square footage figures are provided as a courtesy estimate only and were obtained from tax records. Buyer is advised to obtain an independent measurement."